Hemi-Sync® is an audio experience, a technology proven to facilitate deep relaxation and the contact with deeper inner levels in an easy and safe way. It is based in the transmission of different sounds through headphones in each ear. Listening to these sounds the two hemispheres of the brain are synchronized and a third sound is produced which does not… exist, it does not originate from the outside, but echoes inside the brain! It is the result of the synchronization of the two brain hemispheres.From one point of view our brain is an electric generator. It produces electricity and pulses in a specific way according to the state in which it is. This natural ability of ours is optimized by the Programs of the Monroe Institute.The Hemi-Sync® technology, that is the Hemisphere Synchronization frequencies (as suggested by the name Hemi-Sync®, which has its origins in the Greek language) was developed throughout a long period of research and experimentations over 50 years at the laboratories of the Monroe Institute, in which numerous prominent scientists from different Universities and medical centers participated. Robert Monroe developed and patented a binaural-beat technology called the Hemi-Sync auditory-guidance system. The Monroe Institute, a 501c(3) nonprofit research and educational organization, uses this Hemi-Sync system within an educational process. During this process individuals listen to a combination of multiplexed audio binaural beats that are mixed with music, pink sound, and/or the natural sound of surf. Binaural-beat stimulation, coupled with the effects of the other components within the Hemi-Sync process, encourages access to focused, meditative, and alert states of consciousness. Ancient cultures used the natural power of sound and music to safely influence states of consciousness in religious ceremonies and to promote psychological and physical health. Today, the idea that auditory stimulation can affect consciousness is widely accepted (Poole 1993). Hemi-Sync represents the state-of-the art in the technological application of the natural power of sound and it has a variety of beneficial applications. Studies have shown improvements in sensory integration (Morris 1990), relaxation, meditation, stress reduction, pain management, sleep (Wilson 1990; Rhodes 1993), and health care (Carter 1993). Further studies have shown effectiveness accessing anomalous states of consciousness (Atwater 1997), reports of peak experiences (Masluk 1998; 1999), a possible antinociceptive effect during anesthesia (Kliempt et al. 1999), and the treatment of anxiety (Le Scouamec et al. 2001).Hemi-Sync has also proven effective in producing enriched learning environments, enhanced memory (Kennerly 1994), improved creativity (Hiew 1995), increased intuition, improved reliability in remote viewing  (McMoneagle 1993), telepathy , and out-of-body experience . Understanding of the effectiveness of Hemi-Sync goes beyond knowing about the natural power of sound to include the well-known autonomic effects of restricted environmental stimulation, controlled breathing, progressive relaxation, and the psychology of affirmations and visualizations. This paper discusses the brain-mind model, brain waves and their relationship to states of consciousness and the role of the reticular activating system (RAS) in regulating brain waves, and beneficial social-psychological conditioning and educational processes.Binaural Beats and The Physiology of the Brain Binaural beats were discovered in 1839 by a German experimenter, H. W. Dove. The human ability to “hear” binaural beats appears to be the result of evolutionary adaptation. Many evolved species can detect binaural beats because of their brain structure. The frequencies at which binaural beats can be detected change depending upon the size of the species” cranium. In the human, binaural beats can be detected when carrier tones  are below approximately 1500 Hz (Oster 1973). The relevant issue here, however, is this innate ability of the brain to detect phase differences between the ears that enables the perception of binaural beats. The sensation of “hearing” binaural beats occurs when two coherent sounds of nearly similar frequencies (less than 1500 Hz) are presented, one to each ear, and the brain detects phase differences between these sounds. This phase difference would normally provide directional information to the listener but when presented with stereo headphones or speakers the brain integrates the two signals, producing a sensation of a third sound called the binaural beat.Perceived as a fluctuating rhythm at the frequency of the difference between the two (stereo left and right) auditory inputs, binaural beats originate in the brainstem within the contralateral audio-processing regions called the superior olivary nuclei (Oster 1973). This auditory sensation is neurologically routed to the reticular formation (Swann et al. 1982) and simultaneously volume conducted to the cortex where it can be objectively measured as a frequency-following response (Oster 1973; Smith, Marsh, & Brown 1975; Marsh, Brown & Smith 1975; Smith et al. 1978; Hink et al. 1980).There have been numerous anecdotal reports and a growing number of research efforts reporting beneficial brain-state changes associated with Hemi-Sync’s binaural beats. Binaural beats have been associated with changes in arousal states, attentional focus, and levels of awareness leading to sensory integration (Morris 1990), improved response to alpha biofeedback training (Foster 1990), relaxation, meditation, stress reduction, pain management, improved sleep (Wilson 1990; Rhodes 1993), health care (Carter 1993), enriched learning environments (Akenhead 1993), enhanced memory (Kennerly 1994), creativity (Hiew 1995), treatment of children with developmental disabilities (Morris 1996), the facilitation of attention (Guilfoyle & Carbone 1996), peak and other exceptional experiences (Masluk 1997), enhancement of hypnotizability (Brady and Stevens 2000), treatment of alcoholic depression (Waldkoetter & Sanders 1997), positive effects on vigilance performance and mood (Lane et al. 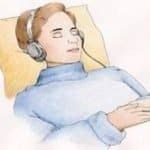 1998), inducing propitious altered states of consciousness (Atwater 1998), and cortico-thalamic adaptation (Atwater 2000).Passively listening to Hemi-Sync binaural beats may not automatically engender a focused state of consciousness. The Hemi-Sync process includes a number of components; binaural beats are only one element. 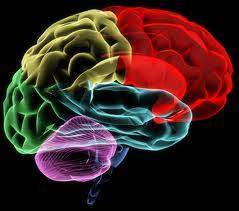 We all maintain a psychophysiological momentum, a homeostasis that may resist the influence of the binaural beats. Practices such as humming, toning, breathing exercises, autogenic training, and/or biofeedback can be used to interrupt the homeostasis of resistant subjects (Tart 1975). Naturally occurring ultradian rhythms driven by the reticular activating system and characterized by periodic changes in arousal (Webb & Dube 1981; Rossi 1986; Shannahoff-Khalsa 1991), may influence the effectiveness of binaural beats. One’s first-person experience in response to binaural-beat stimulation may also be affected by a number of psychological mediating factors. Controversies concerning the brain, mind, and consciousness have existed since the early Greek philosophers argued about the nature of the mind-body relationship, and none of these disputes has been resolved. Modern neurologists have located the mind in the brain and have said that consciousness is the result of electrochemical neurological activity. There are, however, a growing number of observations that challenge the completeness of these assertions. There is no neurophysiological research that conclusively demonstrates that the higher levels of mind (intuition, insight, creativity, imagination, understanding, thought, reasoning, intent, decision, knowing, will, spirit, or soul) are located in brain tissue (Hunt 1995). A resolution to the controversies surrounding the higher mind and consciousness and the mind-body problem in general may require an epistemological shift to include extra-rational ways of knowing (de Quincey 1994) and may well elude comprehension by neurochemical brain studies alone.We are in the midst of a revolution focusing on the study of consciousness (Owens 1995). Penfield (1975), an eminent contemporary neurophysiologist, found that the human mind continued to work in spite of the brain’s reduced activity under anesthesia. Brain waves were nearly absent while the mind was just as active as in the waking state. The only difference was in the content of the conscious experience. Following Penfield’s work, other researchers have reported awareness in comatose patients (Hunt 1995) and there is a growing body of evidence that suggests that reduced cortical arousal while maintaining conscious awareness is possible (Fischer 1971; West 1980; Delmonte 1984; Wallace 1986; Goleman 1988; Mavromatis 1991; Jevning, Wallace, & Beidenbach 1992). These states are variously referred to as meditative, trance, altered, hypnagogic, hypnotic, and twilight-learning states (Budzynski 1986). These various forms of consciousness rest on the maintenance of awareness in a physiologically reduced state of arousal marked by parasympathetic dominance (Mavromatis 1991). Highly hypnotizable subjects and adept meditators have demonstrated that maintaining consciousness with reduced cortical arousal is indeed possible in selected individuals, either as a natural ability or as an acquired skill (Sabourin, Cutcomb, Crawford, & Pribram 1993). More and more scientists are expressing doubts about the neurologists’ brain-mind model because it fails to answer so many questions about our ordinary experiences and evades our mystical and spiritual queries. Studies in distant mental influence and mental healing also challenge the notion of a mind localized within the brain (Dossey 1994; Dossey 1996). Nonlocal events have been proven to occur at the subatomic level and some researchers believe that the physics principles behind these events also underlie nonlocal consciousness-mediated effects (Dossey 1996). The scientific evidence supporting the phenomenon of remote viewing alone is sufficient to show that mind-consciousness is not a local phenomenon (McMoneagle 1993).If mind-consciousness is not the brain, why then does science relate states of consciousness and mental functioning to brain waves? And why does the Hemi-Sync process include a binaural-beat technology that has the potential to alter brain waves? 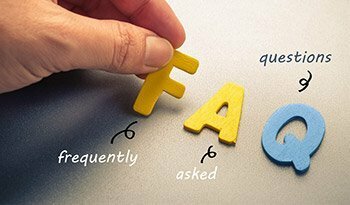 The first question can be answered in terms of instrumentation. There is no objective way to measure mind or consciousness with an instrument. Mind-consciousness appears to be a field phenomenon that interfaces with the body and the neurological structures of the brain (Hunt 1995). This field cannot be measured directly with current instrumentation. On the other hand, the electrical potentials of the body can be measured and easily quantified. Contemporary science likes things that can be measured and quantified. The problem here lies in the oversimplification of the observations. EEG patterns measured on the cortex are the result of electroneurological activity of the brain. But the brain’s electroneurological activity is not mind-consciousness. Therefore, EEG measurements are only an indirect means of assessing the mind-consciousness interface with the neurological structures of the brain. As crude as this may seem, the EEG has been a reliable way for researchers to estimate states of consciousness based on the relative proportions of EEG frequencies. Stated another way, certain EEG patterns have been historically associated with specific states of consciousness. Although not an absolute, it is reasonable to assume, given the current EEG literature, that if a specific EEG pattern emerges it is probably accompanied by a particular state of consciousness.The second question raised in the above paragraph requires a more complex explanation. The Hemi-Sync process includes the powerful binaural-beat technology because altering arousal states, attentional focus, and levels of awareness allows for an increased repertoire of mind-consciousness experiences. When brain waves move to lower frequencies (lower arousal) and consciousness is maintained (cognitive experience), a unique state emerges. Practitioners of the Hemi-Sync process call this state of hypnagogia “mind awake/body asleep.” Slightly higher brain-wave frequencies can lead to hyper-suggestive states of consciousness. Still higher frequencies are associated with the alert and focused levels of attention necessary for the optimal performance of many tasks.Perceived reality changes depending on the state of consciousness of the perceiver (Tart 1975). Some states of consciousness provide limited views of reality, while others provide an expanded awareness of reality. For the most part, states of consciousness vary in response to the ever-changing internal environment and surrounding stimulation. For example, states of consciousness are subject to influences like drugs and circadian and ultradian rhythms (Webb & Dube 1981; Rossi 1986; Shannahoff-Khalsa 1991). Specific states of consciousness can also be learned as adaptive behaviors to demanding circumstances (Green & Green 1986). Functioning through the mechanism of the extended reticular-thalamic activating system, Hemi-Sync offers access to a wide variety of altered-state experiences for those wanting to explore the realms of consciousness. The term “Hemi-Sync” was chosen as a trademark because, under its influence, the two hemispheres of the brain appear to function coherently, or in sync with each other. 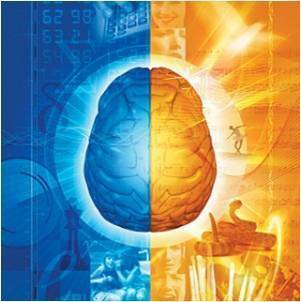 In addition to certain predominant brainwave frequencies, brain-wave coherence is an important factor. Brain-wave coherence has to do with brain waves from different parts of the brain having the same frequency and amplitude and being mutually entrained so that they operate in a smooth continuous pattern. The enhanced inter-hemispheric communication encouraged by the Hemi-Sync process sets the stage for brain-wave coherence that, in turn, facilitates whole-brain cognition. Whole-brain cognition is not just a lateral concept (left-/right-brain) but a vertical notion too. When cortical brain waves are slowed, the filtering function of the cortex becomes less effective and the limbic system (the “emotional” brain) can more readily interact in the cognitive environment. Images, and other sensory data, arising in the limbic system, in the absence of cortical physical-reality judgment, assume an elevated status in one’s subjective experience (Ritchey 2003).Over a period of time, Hemi-Sync users are likely to develop cerebral laterality or less strongly lateralized (left/right) brains. Such a condition may facilitate attention, learning, and mnemonics realms as well as play a significant role in coordination, athleticism, and creativity. Hemi-Sync users may be able to develop specific linguistic and/or mathematical skills, the ability to hyper-focus attention when appropriate, and the remembering of some types of information with extraordinary clarity and detail (Ritchey 2003).Although synchronized, coherent brain waves have long been associated with meditative and hypnagogic states, Hemi-Sync may be unique in its ability to induce and improve such states of consciousness. The reason for this is physiological. Each ear is “hardwired” (so to speak) to both hemispheres of the brain (Rosenzweig 1961). Each hemisphere has its own olivary nucleus (sound-processing center) that receives signals from each ear. When a binaural beat is perceived there are actually two electrochemical, synaptic waves of equal amplitude and frequency present, one in each hemisphere. This is, in and of itself, hemispheric synchrony of synaptic activity. 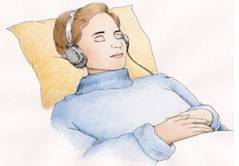 The unique binaural beats of the Hemi-Sync system appear to contribute to the hemispheric synchronization evidenced in meditative and hypnagogic states of consciousness. Hemi-Sync’s binaural beats may also enhance brain function by enabling the user to reconcile cross-collosal connectivity at designated brain-wave frequencies.The two cerebral hemispheres of the brain are like two separate information-processing modules. Both are complex cognitive systems; process information independently and in parallel; and their interaction is neither arbitrary nor continuous (Zaidel 1985). States of consciousness can be defined not only in terms of brain-wave frequency ratios, but also in terms of hemispheric specialization and/or interaction. An individual’s cognitive repertoire and, therefore, his ability to perceive reality and deal with the everyday world, is subject to his ability to experience various states of consciousness (Tart 1975). The extended reticular-thalamic activation system (ERTAS) regulates brain-wave activity (Newman 1997), an essential element in altering consciousness. The word reticular means “net-like” and the neural reticular formation itself is a large, net-like diffuse area of the brainstem (Anch et al. 1988). The reticular activating system (RAS) interprets and reacts to information from internal stimuli, feelings, attitudes, and beliefs as well as external sensory stimuli by regulating arousal states, attentional focus, and levels of awareness — by definition, elements of consciousness itself (Empson 1986; Tice & Steinberg 1989). How we interpret, respond, and react to information then, is managed by the brain’s reticular formation stimulating the thalamus and cortex, and controlling attentiveness and levels of arousal (Empson 1986). In order to alter arousal states, attentional focus, and levels of awareness, it is necessary to provide some sort of information input to the RAS. Hemi-Sync provides this information component. The information referred to here is the complex, brain-wave-like pattern of the Hemi-Sync binaural beat. This unique binaural-beat (neurologically evidenced by the EEG frequency-following response) is recognized by the RAS as brain-wave pattern information. If internal stimuli, feelings, attitudes, beliefs, and external sensory stimuli are not in conflict with this information (e.g., an internal, even unconscious, fear may be a source of conflict), the RAS will alter states of consciousness to match the Hemi-Sync stimulus as a natural function of maintaining homeostasis.The brain automatically and actively regulates all body functions to maintain homeostasis — an internal equilibrium (Green & Green 1977; Swann et al. 1982). In a natural and constant attempt to maintain a homeostasis of the elements of consciousness, the RAS actively monitors and continues the neural replication of ongoing brain-wave states (unless, of course, there is reason to make an adjustment due to new information from internal sources or external sensory input).As time passes, the RAS monitors both the internal and external environment and arousal states, attentional focus, and levels of awareness to determine, from moment to moment, the most suitable way to deal with existing conditions. As long as no conflicts develop, the RAS naturally continues aligning the listener’s state of consciousness with the information in the brain-wave-like pattern of the Hemi-Sync sound field.In objective, measurable terms, EEG-based research provides evidence of Hemi-Sync’s influence on arousal states, attentional focus, and levels of awareness. Since the RAS regulates cortical EEG (Swann et al. 1982), monitoring EEG chronicles performance of the RAS. There have been several free-running EEG studies (Foster 1990; Sadigh 1990; Hiew 1995, among others), which suggest that Hemi-Sync binaural beats induce alterations in EEG. Because the RAS is responsible for regulating EEG (Swann et al. 1982; Empson 1986), these studies document measurable changes in RAS function during exposure to Hemi-Sync.But this is only part of the Hemi-Sync process. First-person experience of consciousness is much more than just arousal states, attentional focus, and levels of awareness. The cognitive content of the experience is what gives it meaning. Whereas a specific state of cortical arousal is induced by the Hemi-Sync binaural beats, the content portion of a focused state of consciousness depends on social-psychological conditioning and the mental ability of the individual. The educational application of the Hemi-Sync technology incorporates these dimensions. In terms of social-psychological conditioning, the Hemi-Sync audio-guidance media provide instructions on relaxation and breathing, affirmations for objectifying personal intent, and guided visual imagery.In the Institute’s educational programs, skilled trainers-mediators sensitive to the subtle indices of participants’ phrasing, body language, and expressiveness provide counseling and encourage group interaction to insure an environment conducive to enhanced cognitive experience within specific Hemi-Sync generated states of cortical arousal, called Focus Levels.Trainers are experienced in the realms being explored by program participants. Because they have first-hand knowledge of these worlds they can help others alter their own social-psychological conditioning. Trainers encourage introspection on the part of participants to aid in the integration and realization of novel experiences. When appropriate, trainers encourage participants to reframe their experiences into more useful perspectives.To the degree that mental ability defines one’s capacity to experience, cognitive skills can be enhanced through educational processes. Participants are offered materials to read. Informative lectures are scheduled throughout the duration of the programs. The use of multimedia enhances the presentation of educational materials. Planned group discussions provide the opportunity to share and to inspire each other. Development through practice is at the core of the educational process and participants are given numerous opportunities to experience the exciting focused states of consciousness available within the Hemi-Sync process. Atwater, F.H. (1997). Accessing anomalous states of consciousness with a binaural beat technology. In Journal of Scientific Exploration, 11(3), pp. 263-274. Atwater, F.H. (1998). Inducing Propitious Altered States of Consciousness via cortico-thalamic adaptation. In Consciousness Research Abstracts, Toward a Science of Consciousness, Tucson III, p. 156. Atwater, F.H. (2000). Cortico-thalamic adaptation of binaural beating. In Consciousness Research Abstracts, Toward a Science of Consciousness, Tucson 2000, p. 94. Brady, B. & Stevens, L. (2000). Binaural-beat induced theta EEG activity and hypnotic susceptibility. In American Journal of Clinical Hypnosis, 43(1), pp. 53-69.
de Quincey, C. (1994). Consciousness all the way down? In Journal of Consciousness Studies, 1 (2), pp. 217-229. Delmonte, M. M. (1984). Electrocortical activity and related phenomena associated with meditation practice: A literature review. In International Journal of Neuroscience, 24, pp. 217-231. Dossey, L. (1994). Healing, energy, & consciousness: into the future or a retreat to the past? In Subtle Energies, 5 (1), pp. 1-33. Dossey, L. (1996). Dialogue. In Subtle Energies, 5 (3), pp. 264-265. Fischer, R. (1971). A cartography of ecstatic and meditative states. In Science, 174 (4012), pp. 897-904. Foster, D. S. (1990). EEG and subjective correlates of alpha frequency binaural beats stimulation combined with alpha biofeedback. In Hemi-Sync Journal, VIII (2), pp. 1-2. New York State Association of Day Service Providers Symposium, October 18, 1996, Albany, New York. Hiew, C. C. (1995). Hemi-Sync into creativity. In Hemi-Sync Journal, XIII (1), pp. 3-5. Jevning, R., Wallace, R. K., & Beidenbach, M. (1992). The physiology of meditation: A review. A wakeful hypnometabolic integrated response. In Neuroscience and Behavioral Reviews, 16, pp. 415-424. Le Scouamec, R.P., Poirier, R.M., Owens, J.E., Gauthier, J., Taylor, A.G., & Foresman, P.A. (2001). Use of binaural beat tapes for treatment of anxiety: A pilot study of tape preference and outcomes. In Alternative Therapies, 7(1), pp. 58-63. Kliempt, P., Ruta, D., Ogston, S., Landeck, A., & Martay, K. (1999). Hemispheric-synchronization during anesthesia: a double-blind randomized trial using audiotapes for intra-operative nociception control. In Anesthesia, 54, pp. 769-773. Marsh, J.T., Brown, W.S., & Smith, J.C. (1975). Far-field recorded frequency-following responses: Correlates of low pitch auditory perception in humans. In Electroencephalography and Clinical Neurophysiology, 38, pp. 113-119. Masluk, T.J. (1998). Reports of peak- and other experiences during a neurotechnology-based training program, part 1. In The Journal of the American Society for Psychical Research, 92(4), pp. 311-401. Masluk, T.J. (1999). Reports of peak- and other experiences during a neurotechnology-based training program, part 2. In The Journal of the American Society for Psychical Research, 93(1), pp. 1-98. Morris, S.E. (1996). Music and Hemi-Sync in the treatment of children with developmental disabilities. In Open Ear, 2, pp. 14-17. Owens, J. E. (1995). Integrating paradigms. In Hemi-Sync Journal, XIII (3), pp.1-3. Rhodes, L. (1993). Use of the Hemi-Sync super sleep tape with a preschool-aged child. In Hemi-Sync Journal, XI(4), pp. iv-v.
Ritchey, D. (2003). The H.I.S.S. of the A.S.P. : Understanding the Anomalously Sensitive Person. (Terra Alta: Headline Books, Inc.), pp. 115-134 & 145-170. M. Ullman (Eds. ), Handbook of States of Consciousness, pp. 97-133. (New York: Van Nostrand Reinhold Company). Sabourin, M. E., Cutcomb, S. E., Crawford, H. J., & Pribram, K. (1990). EEG correlates of hypnotic susceptibility and hypnotic trance: Spectral analysis and coherence. In International Journal of Psychophysiology, 10, pp. 125-142. Shannahoff-Khalsa, D. (1991). Lateralized rhythms of the central and autonomic nervous systems. In International Journal of Psychophysiology, 11, pp. 225-251. Smith, J.C., Marsh, J.T., Greenberg, S., & Brown, W.S. (1978). Human auditory frequency-following responses to a missing fundamental. In Science, 201, pp. 639-641. Swann, R., Bosanko, S., Cohen, R., Midgley, R., & Seed, K.M. (1982). In The Brain – A User’s Manual. p. 92. (New York: G. P. Putnam’s Sons). Waldkoetter, R. O. & Sanders, G. O. (1997). Auditory brainwave stimulation in treating alcoholic depression. In Perceptual and Motor Skills, 84, p. 226. West, M. A. (1980). Meditation and the EEG. In Psychological Medicine, 10, pp. 369-375. Patent Number: 3884218; Issue Year: 1975; State/Country: VA; Marketed as: Hemi-Sync; Inventor: Robert A. Monroe; Title: Method of Inducing and Maintaining Various Stages of Sleep in the Human Being. Patent Number: 5213562; Issue Year: 1993; State/Country: VA; Marketed as: Hemi-Sync; Inventor: Robert A. Monroe; Title: Method of Inducing Mental, Emotional and Physical States of Consciousness, Including Specific Mental Activity, in Human Beings. Patent Number: 5356368; Issue Year: 1994; State/Country: VA; Marketed as: Hemi-Sync; Inventor: Robert A. Monroe; Title: Method of Inducing Desired States of Consciousness. Pink sound is “white noise” (like the hiss sound from a television after a station has stopped transmitting) that has been equalized for human hearing to create a more pleasing natural sound. Remote viewing is the ability to describe objects and activities blocked from sensory input by time or space by mental means alone. Telepathy is commonly referred to as direct mind-to-mind communication, a rather limiting definition when compared to Robert Monroe’s broader nonverbal communication. Electronically produced binaural beats can be “heard” when audio tones of slightly different frequencies referred to as carrier tones are presented, one to each ear.